FULL-SERVICE MOVER! WE MOVE EVERYTHING! 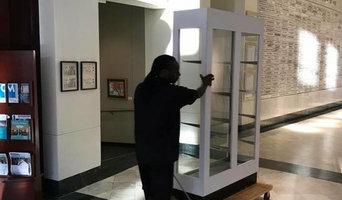 (We Move Jacuzzis, G.F. Clocks, Pianos, Safes, Industrial Equipment, Partitions, etc., etc., etc.) NO DEPOSITS! - WE JUST SCHEDULE YOU! NO MINIMUMS! - ONLY PAY THE FIRST HOUR THEN 15 MINUTE INCREMENTS! NO 3-4 HOUR MINIMUMS!!! NO ADDITIONAL CHARGES!!! - JUST THE RATE. ONLY THE RATE. (NO TRIP CHARGE, FUEL CHARGE, MISC. SUR-CHARGES, TAX, ETC., ETC., ETC.) ALWAYS FREE WARDROBE BOXES & MATTRESS BAGS ON EVERY TRUCK!!! Being your local Orlando Movers is something we take tremendous pride in and truly value the expectations that come with that. Handy Dandy Moving Service is a locally based Orlando FL moving company, that provides a numerous amount of moving services in your area. 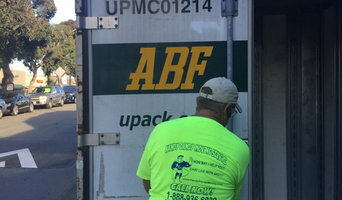 Some of the services we offer is Loading, Unloading, Packing, Wrapping, Full Service Moving, Cross Country, Local Long Distance, International, and those are just some of the services we offer. Luke's Apartment Movers provide all the manpower and hardware you could ever need for a move. We can move anything, anywhere in Florida or nationwide. We pride ourselves on the fact that we are the fastest movers in Florida. In both customer service and the job itself you won’t find a faster mover in the state. Check out our excellent multimedia site and learn more. Our caring team of representatives guides you through each step of the process. We also work with you after the move is done to make sure it went smoothly. Our team cares about you and giving you the best move possible. Positive references are another huge part of our company. We work tirelessly to correct any problems here. This means that if it is humanly possible to make a customer happy we can do it. Delta Van Lines – one of the most trusted Nationwide movers – provides the first-class treatment that your belongings deserve. Our moving company offers a variety of moving services that can be customized based on your specific requirements. Are you looking for a local or state-to-state moving solution? Choose Delta Van Lines to ensure your moving experience is absolutely smooth and free from any kind of stress or confusion. If you are looking for someone to facilitate a residential, corporate relocation, local or long distance move, Delta Van Lines is the name you can count on for impeccable quality of moving services. Here at Delta Van Lines, customer satisfaction is our number one priority. We look forward to assisting you with all your moving needs! Call us today for a free quote at 888-445-7515. Smoothie chain known for its low-calorie, lactose-free smoothies and meal replacement options with vegan/whey isolate protein choices to fit every lifestyle and needs. Moving can be the single most stressful time of one's adult life. Here at A Move Ahead Movers we understand what you are going through. From the moment you place that first call to us, up until your very last item is placed into your home exactly where you want it, we vow to go above and beyond your expectations. Our entire team is trained to handle your move as if it where their own mother's move and you will receive excellent service every step of the way. We believe in providing an EXCEPTIONAL service at an AFFORDABLE rate. You won't find a better bang for your buck. We truly are A MOVE AHEAD MOVERS. We are the lowest priced movers in Orlando! Why should I hire Orlando, FL removal companies? Some house removals will involve total house clearance work – perhaps you’re stripping bare your old place and redoing it before selling it on? Or if you only need a few large items moved, there are lots of removal companies in Orlando, FL that will be happy to offer furniture removal, and may even be willing to take items to the tip for you if you’ve decided to get rid of them. If you find a reliable man with a van in Orlando, FL, he may be able to accommodate you throughout your whole move – helping you with house clearance, taking items to the tip, to storage containers, to salvage yards and finally helping to move everything into your new place. 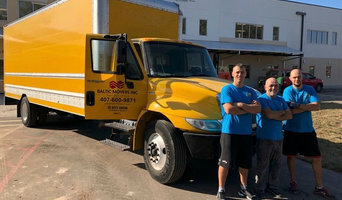 A Orlando, FL man with a van service is often a bit more flexible than a removals company, so consider individual movers as well as large firms when you move. If you’re moving at the same time as carrying out renovations, you may need to liaise with your other contractors as well as Orlando, FL removal companies to make sure the move and house clearance can go as seamlessly as possible. Here are some related professionals and vendors to complement the work of removal companies: . Find removal companies on Houzz. Narrow your search in the Professionals section of the website to Orlando, FL removal companies and man with a van services. You can also look through Orlando, FL photos to find examples of house clearances and moves, then contact the professional who worked on them.